Some people go the extra mile for their favorite cause. 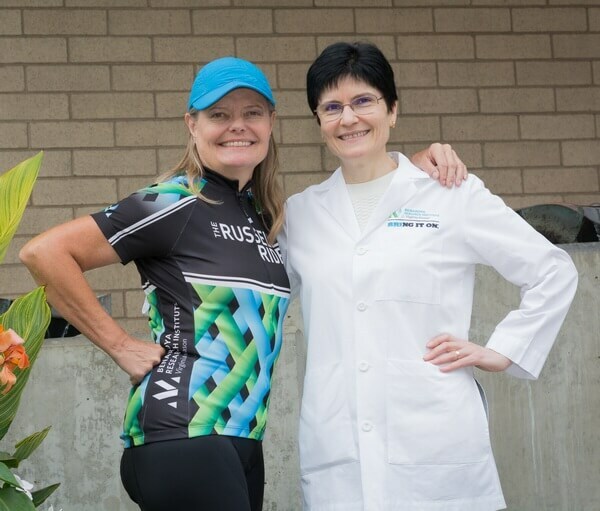 Roberta Winter, a health policy analyst from Bremerton, WA, went 800 miles past that: In August 2018, she biked from her Kitsap County home to Napa, CA in the inaugural “Russell Ride,” which she created to honor her brother Russell’s fight with type 1 diabetes (T1D). Now, she’s getting ready for Russell Ride 2019. Roberta started this ride with two goals in mind: raise awareness and raise funds for the Benaroya Research Institute at Virginia Mason (BRI). She began in her community, talking to other Seattle-bound ferry commuters about T1D, leading conversations on social media and hosting fundraising events at Bremerton breweries. Then, from the misty Olympic Mountains to the windswept roads of the Oregon Coast, and through the vineyards of Northern California, she talked to everyone she met about supporting T1D research and how close we are to a cure. She knows America’s health system has a long way to go, but the support she received during her first ride motivated her to keep fighting for improvements. For example, she hit a rough patch of road and fell off her bike near Astoria, Oregon — and the man who stopped to help her just happened to have T1D. Roberta, age 61, rolled into Napa after just eight days — a journey that takes most cyclists around two weeks. Her final fundraising total was $5,000, which she knows is already making a difference helping BRI scientists unlock some of T1D’s mysteries. 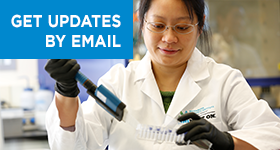 This funding will back projects like the one led by Marika Bogdani, MD, PhD. Dr. Bogdani leads a study looking at the extracellular matrix (ECM) – a layer of goo that surrounds all cells, including the pancreatic islet cells that come under attack in T1D. She discovered that, in patients with T1D, the islet ECM contains unusually high amounts of a chemical that changes how the immune system reacts. She thinks that unraveling when – and why – the ECM changes could reveal clues about diabetes and lead to therapies that stop the disease. Dr. Bogdani is currently running a crowdfunding campaign to fully fund this research, and Roberta is planning to continue her support in 2019. Roberta is currently ramping up for Russell Ride 2019. This year, she’s planning to make it a team event, where riders will split a maximum of 75 miles per day between teams of two. She says each biker should be able to ride at about 15 miles per hour and climb 5,000 vertical feet on two of those ride days. It’s a big commitment, but Roberta says habitual bikers, bike commuters, or anyone who can bike for 30 miles without stopping could do the ride. She invites those who are interested in participating to join her for training rides and to contact her to learn more. A version of this article was originally published as an Impact Story at Virginiamasonfoundation.org. Jessica Hamerman, PhD, is examining inflammatory response in autoimmune diseases in human blood samples from the BRI biorepository.